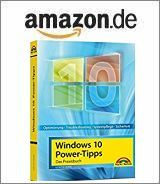 [German]For the first Tuesday of the month (Office Patchday), Microsoft has released a few non-security updates for Microsoft Office 2010, Office 2013, and Office 2016 on December 4, 2018. A Word 2010 crash bug caused by August 2018 security updates has been fixed. Microsoft is also starting a second attempt to make the Japanese calendar fit for a new era (the first attempt ended with the updates having to be withdrawn due to crashes). The updates refer to the installable MSI version of Office and are shipped with Windows Update. Click-to-run packages receive updates through other channels. For this reason, Office 2019 no longer appears in the list below, as only click-to-run installers are still available there. Updates that are not relevant to security are documented on this website and within the KB articles linked below. Here is the list of updates. To install these updates, you must have Microsoft Office 2010 Service Pack 2 installed. Update for Microsoft Office 2010 (KB4227172): This update fixes a crash in Microsoft Word that could occur after you installed the August 2018KB3213636 or KB4022198 security updates. Update for Microsoft Office 2010 (KB4461579): This update is the second attempt to make changes to the Japanese calendar when you move to a new era. The updates from November 6, 2018 were withdrawn due to issues (see my blog post Issues with November 2018 Office (2010); patches pulled). It may be necessary to restart after installing the updates. This will be displayed. Update for Microsoft InfoPath 2013 (KB4022181): A registry entry AllowFormCodeExec was introduced. This entry can be used to prevent the dialog that is displayed in InfoPath 2013 when opening a trusted domain form with underlying code. The details of the registry entry can be found in the linked KB article. Update for Skype for Business 2016 (KB4461545): Updates Microsoft Skype for Business 2016 to version 16.0.4783.1000. This update fixes two bugs: 4477231 Can’t change microphone or speaker volume in Options during a Skype call in Skype for Business 2016 and 4477232 Outlook contact is displayed as phone number when you add it to the contact list in Skype for Business 2016. Note that this update requires either Update KB3203472 (August 1, 2017, Update for Office 2016) or Update KB4011099 (September 5, 2017, Update for Office 2016). Update for Microsoft Project 2016 (KB4461540): This update fixes an issue that could occur when you saved a changed project (you did not see the end of saving). This entry was posted in Update and tagged Office, Update. Bookmark the permalink.